The Domestic Geeks have packed up and moved to a new location! Please come to our new home at http://www.domesticgeeks.com! We’ve got a lot of exciting things in store for you so come check us out and feel free to add suggestions! Its spring time which means that if your in your 20s or 30s there will inevitably be at least one wedding you are invited to. 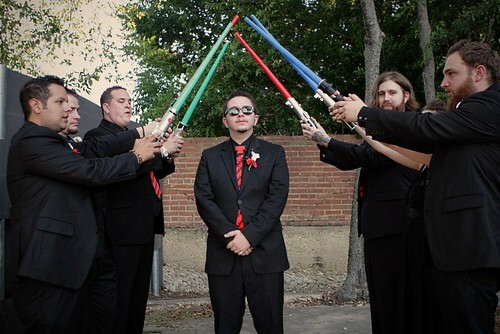 Well, we should all be so lucky as to get invited to a wedding as cool as this one featured on Offbeat Bride. Instead of a traditional cake, they used cupcakes to make Zelda, Link and a life heart…8bit style of course! My favorite part has to be the adorable Super Mario table decorations! Classy and geeky all at once! Im sure even those unfamiliar with Mario found these table decorations to be adorable. To read more about this epic wedding including the orchestrated Zelda music for the processional, read the bride’s writeup here! ps- thanks to my friend Julie for pointing me in the direction of this awesome wedding! Oh, LOST! You’ve pulled us along through six seasons of mysterious whispers in the jungle, sudden tropical rain showers followed by startling revelations and…mangoes. It’s a good thing for our intrepid survivors that mangoes are always in season on this magical island. Mangoes will definitely be on the menu at our season finale party! But there have been more than just mangoes, of course. Jin was able to catch plenty of fish and the occasional haul of oysters. Wild boar was on the menu a few times. Oh, and don’t forget those handy Dharma food drops! • Cheeseburger Sliders and Mini Grilled Cheese Sandwiches – In honor of those first meals Juliet brought to a captive Jack. • Veggies in Ranch Dressing – Really, Hurley? The whole Dharma food closet and you hoard ranch dressing? • Smoke Monster Popcorn – Of course! • Fish Steamed in Banana Leaves – Bless Jin and his expert fisherman skillz. • Braised Summer Pork Shank – Or wild boar if you can get your hands on one. • Dinner Rolls – We had to dig deep into LOST lore for some carbs. See: Juliet’s dinner date with Ben. • Halfway Cookies – Half good…half evil. • Earl Grey Tea Cookies – We’re throwing these in for Charles Widmore and Eloise. • Killer Blondies – Keep an eye on Claire this Sunday. • Jacob’s Red Wine – Although drinking this might have unintended side-effects. • Cheap Beer – Dharma Lite brand, preferably. • Mango Lassi – Mango up! • Water – Lots of water. In handy plastic Dharma bottles. What foods will you be serving for the finale? i just made this kid-friendly tuna salad brought to you by Whole Foods Market at work today. i mixed all of these items in a big Tupperware container. it is the perfect flavorful tuna salad, full of healthy ingredients. this will certainly last me a couple days too. 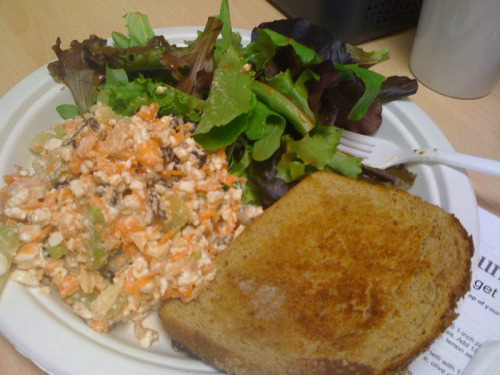 i love putting the tuna salad on top of a piece of wheat toast! 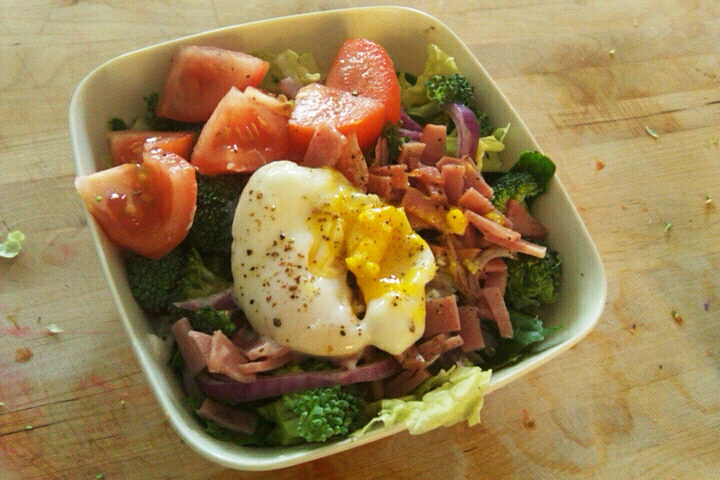 all together, this lunch costs approximately $4.20 / at least two days worth = $2.10!